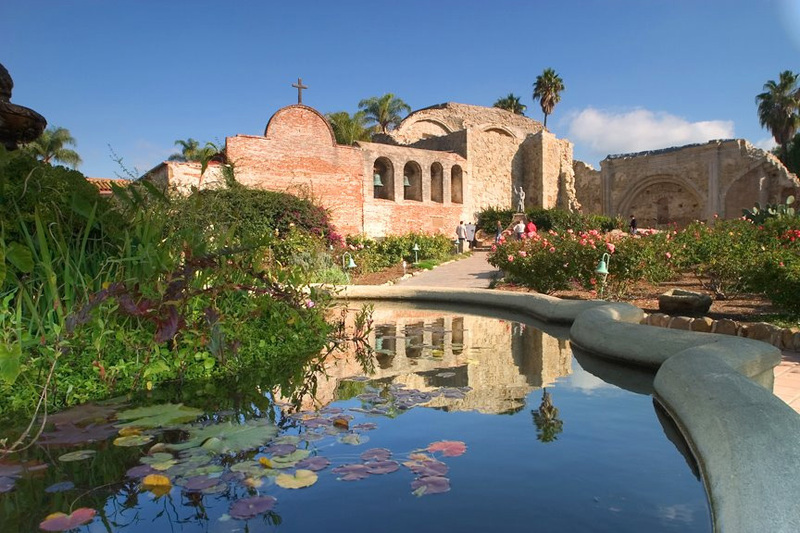 Sun Tamers Window Tinting was selected to tint the windows for The Mission San Juan Capistrano. 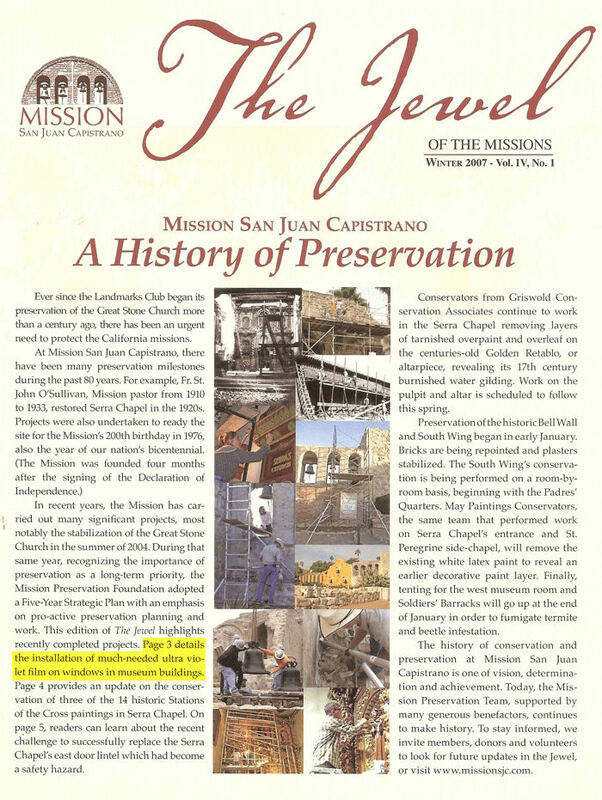 Fading of irreplaceable historical artifacts. 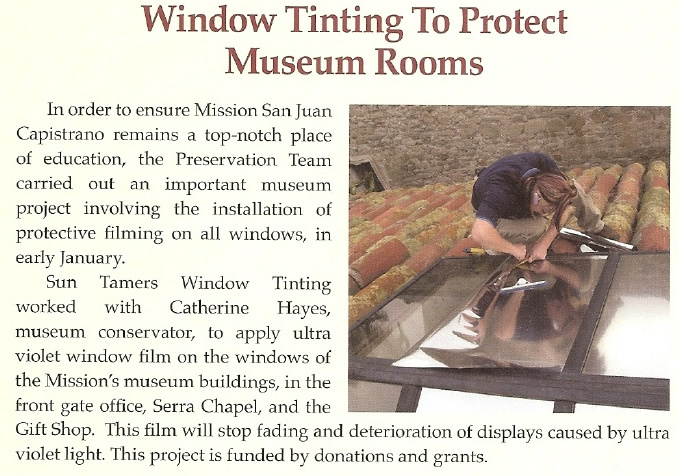 We applied an Ultra Violet window film on several buildings to prevent fading and deterioration due to ultra violet light. It also reduced the amount of heat and controlled light entering the buildings. 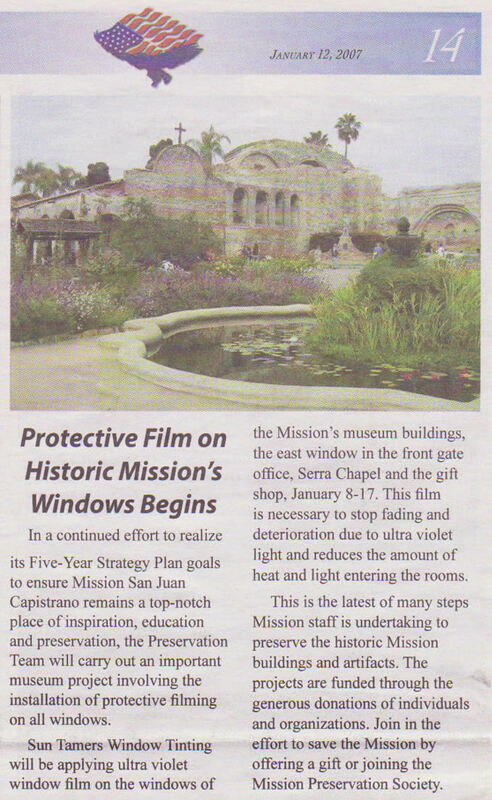 We appreciate that The Mission San Juan Capistrano selected and trusted Sun Tamers Window Tinting to protect such an important landmark in Orange County.